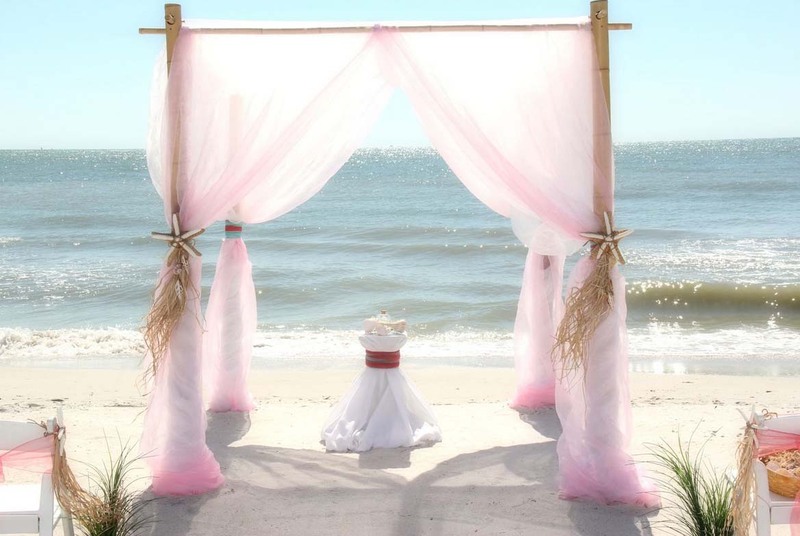 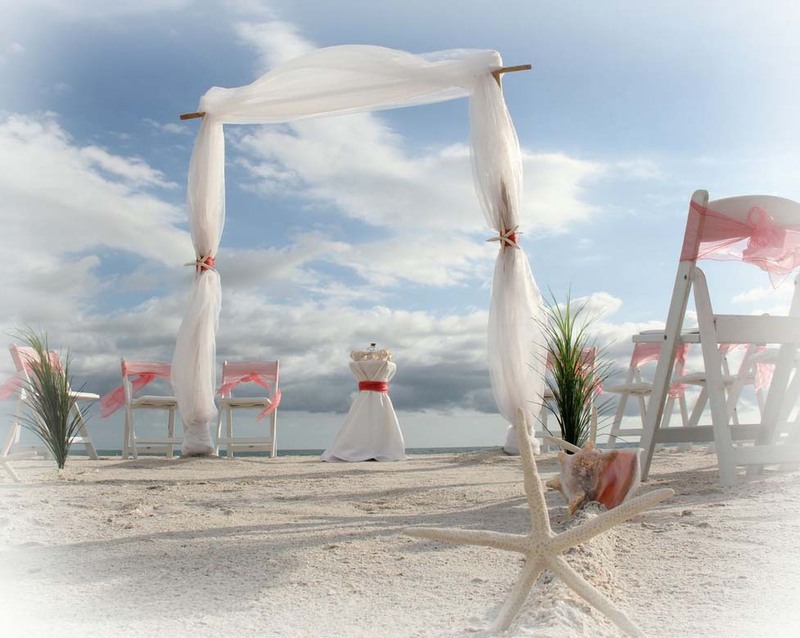 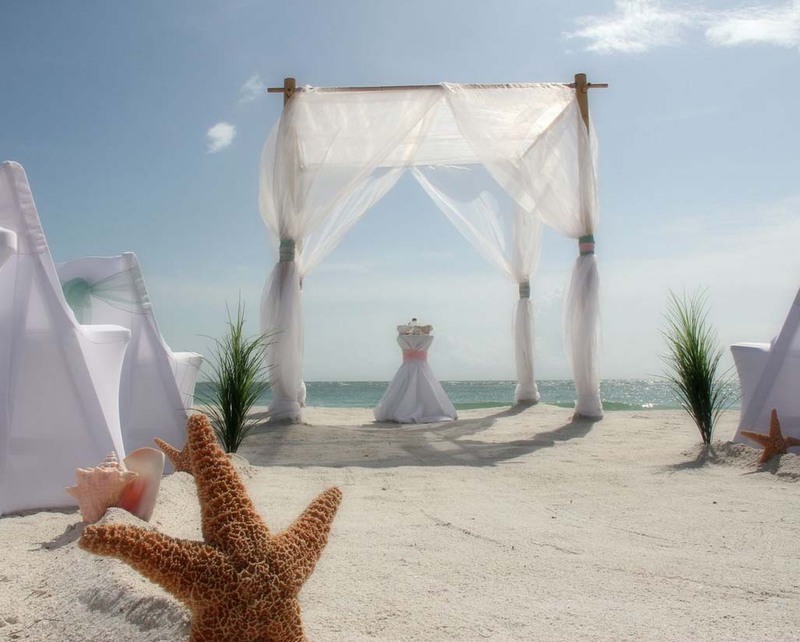 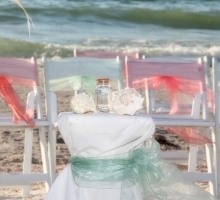 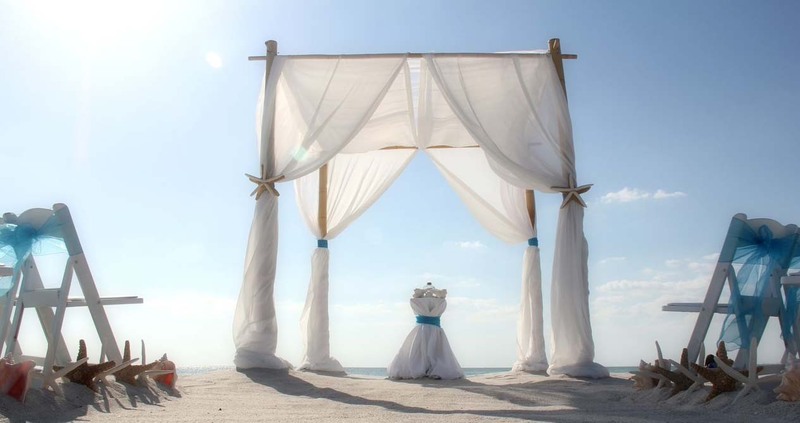 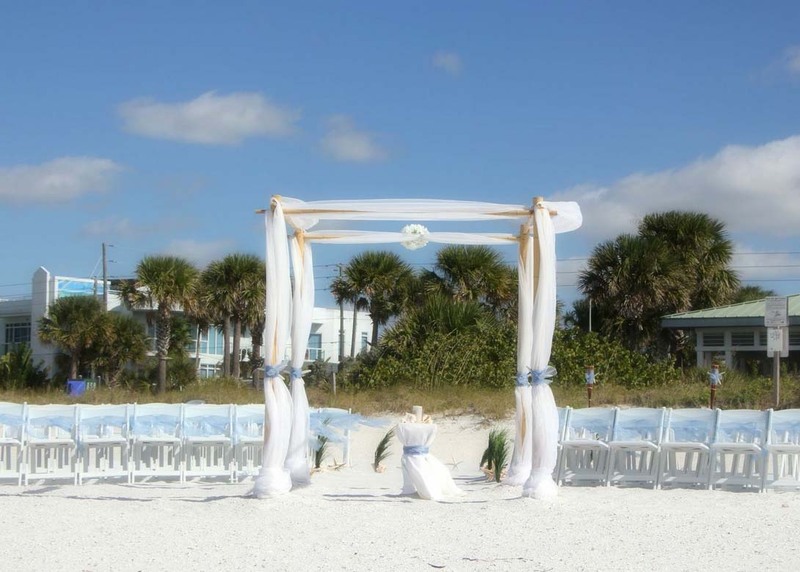 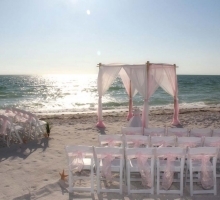 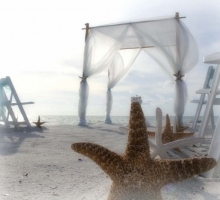 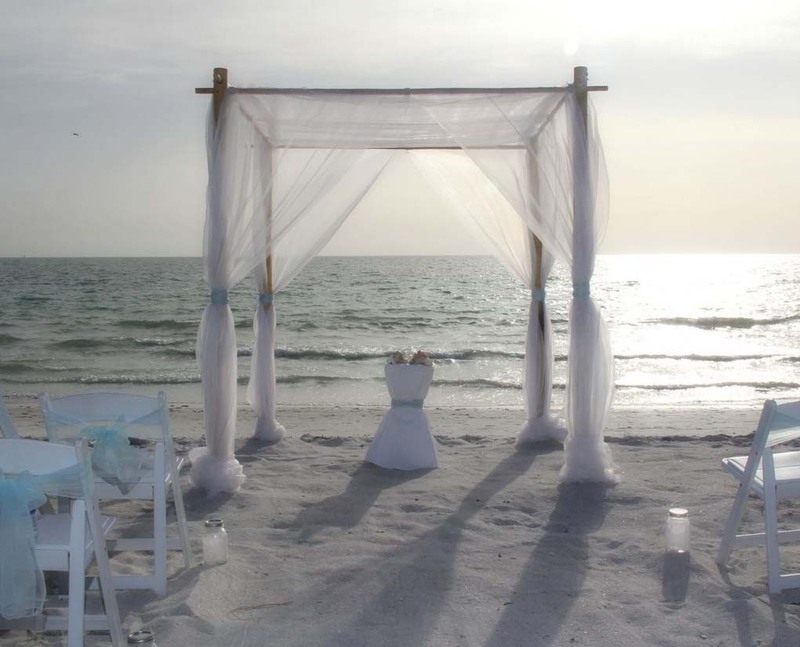 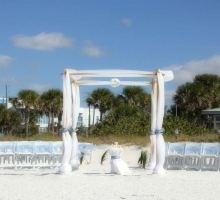 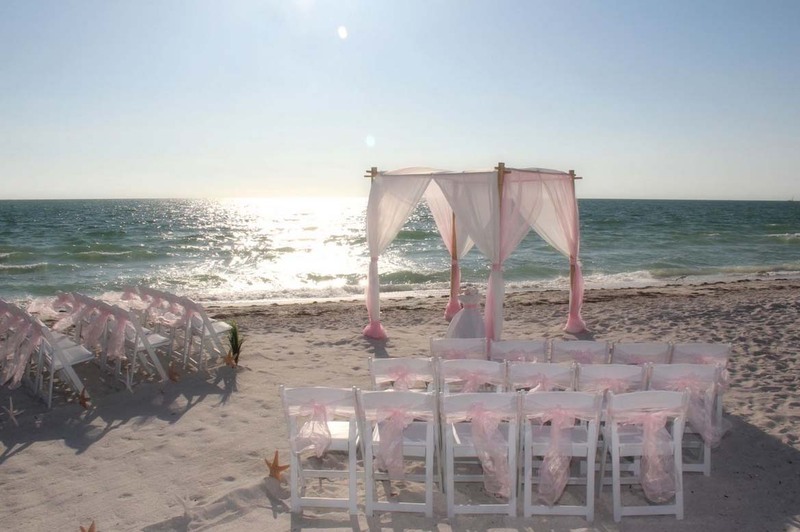 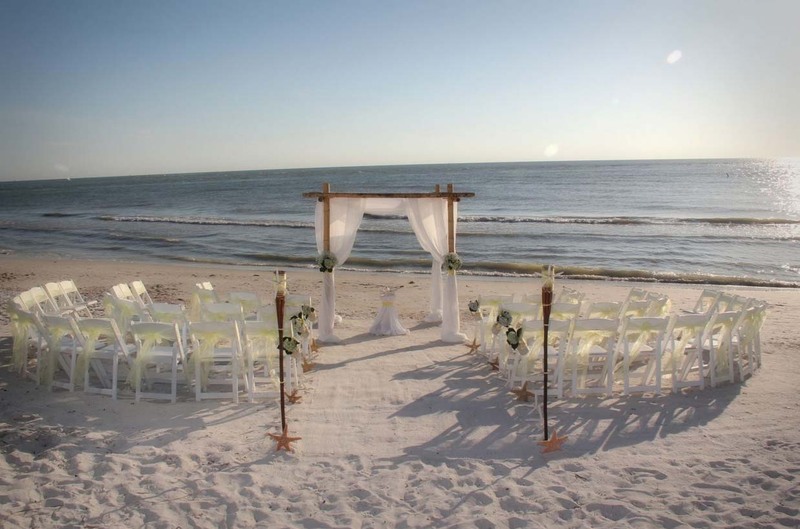 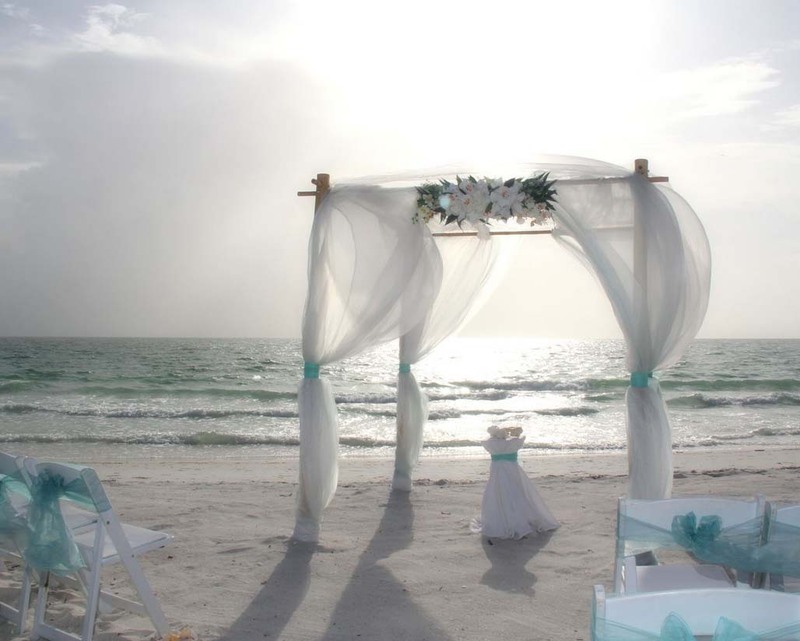 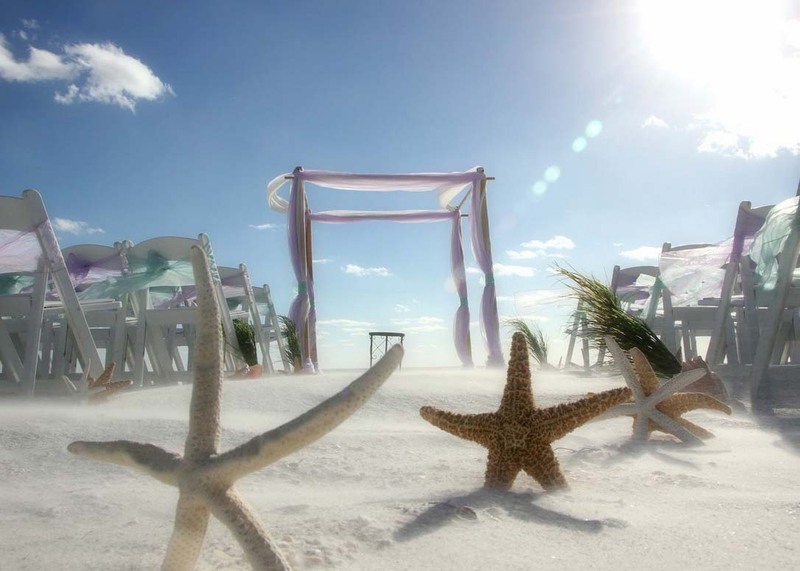 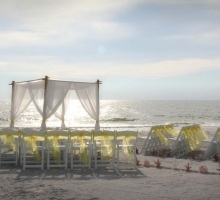 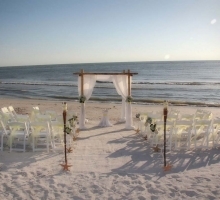 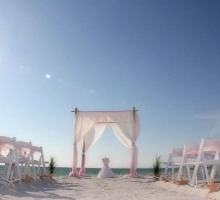 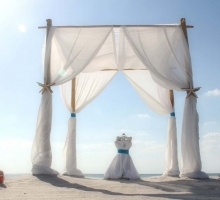 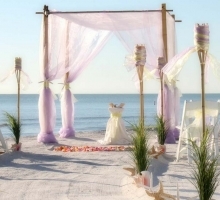 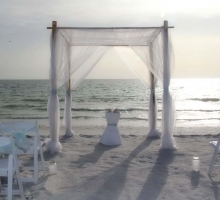 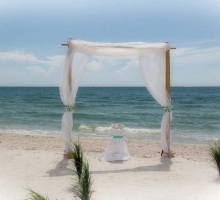 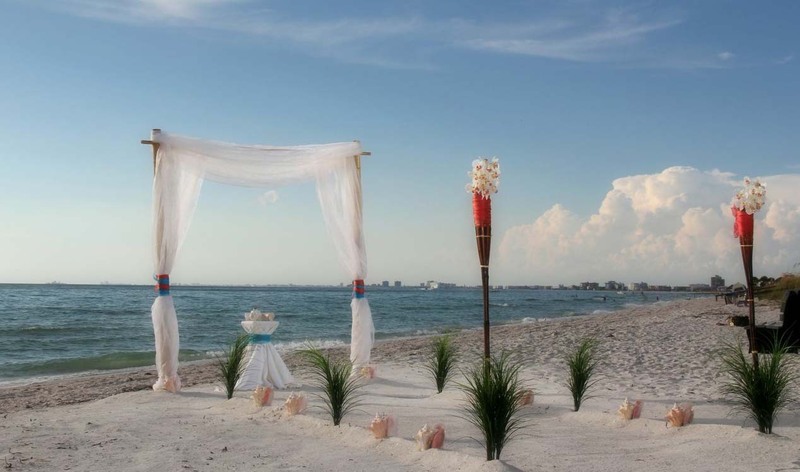 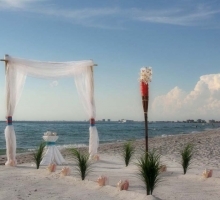 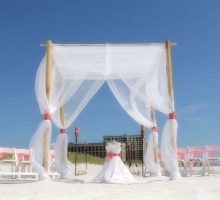 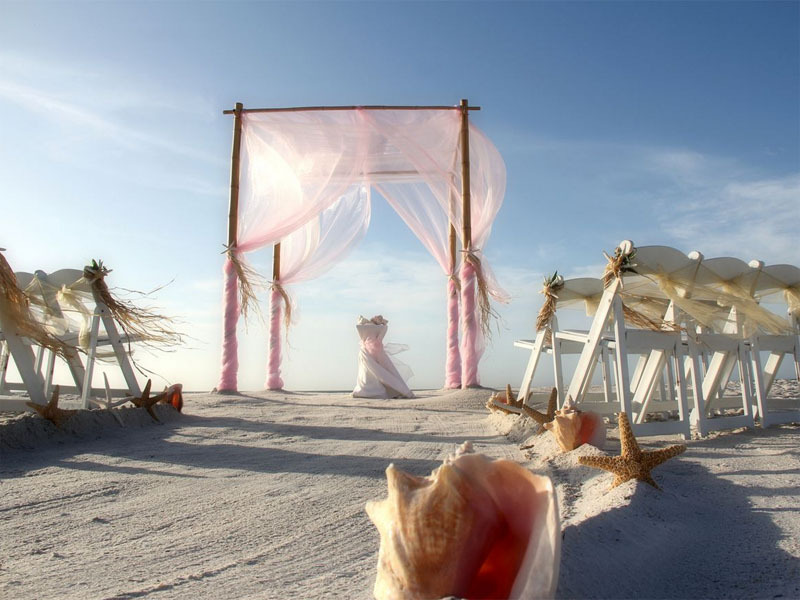 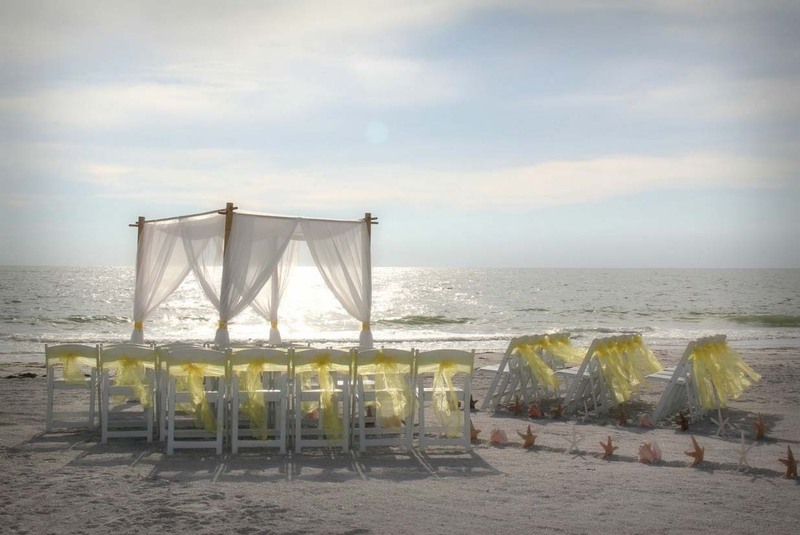 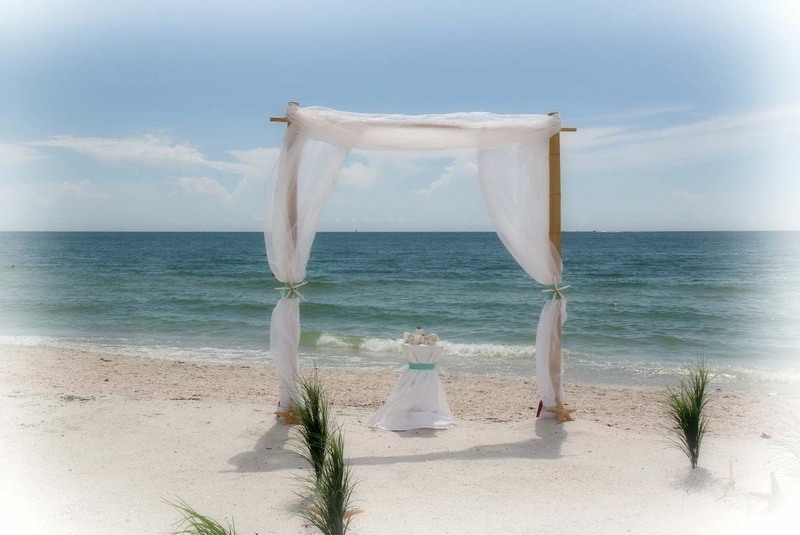 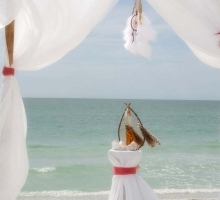 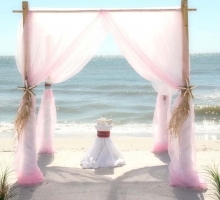 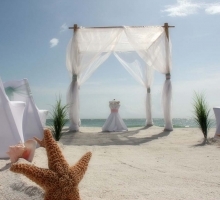 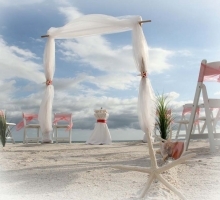 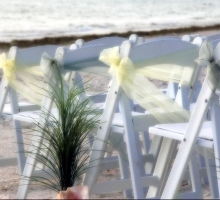 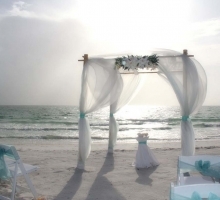 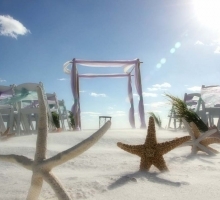 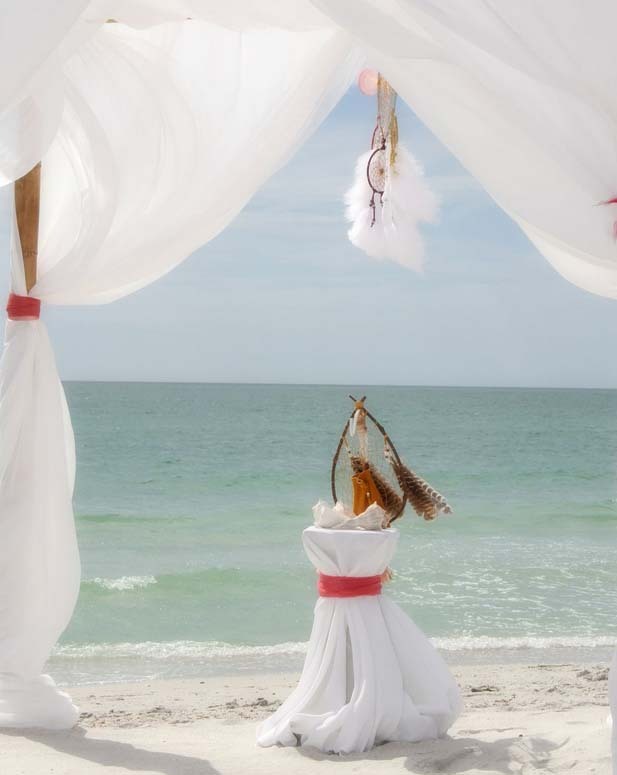 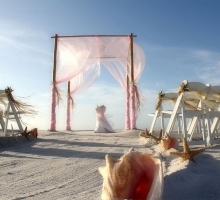 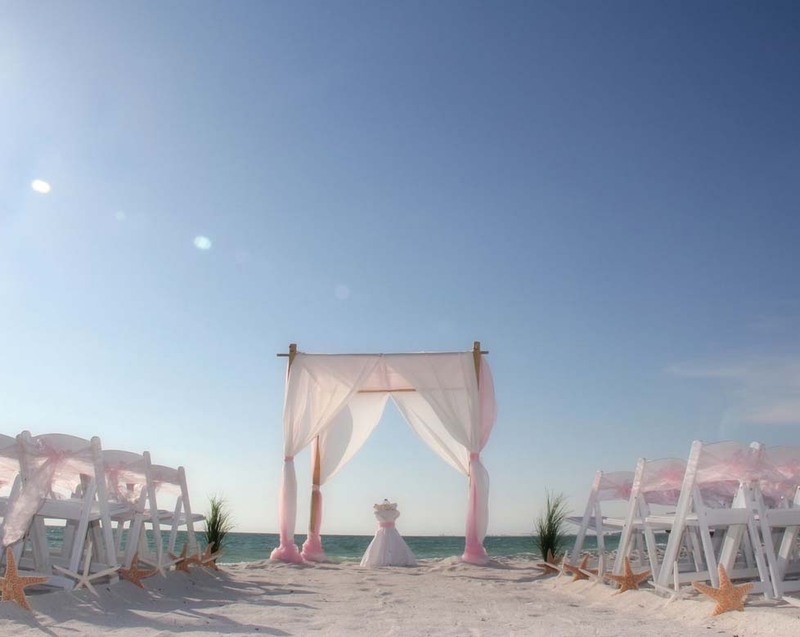 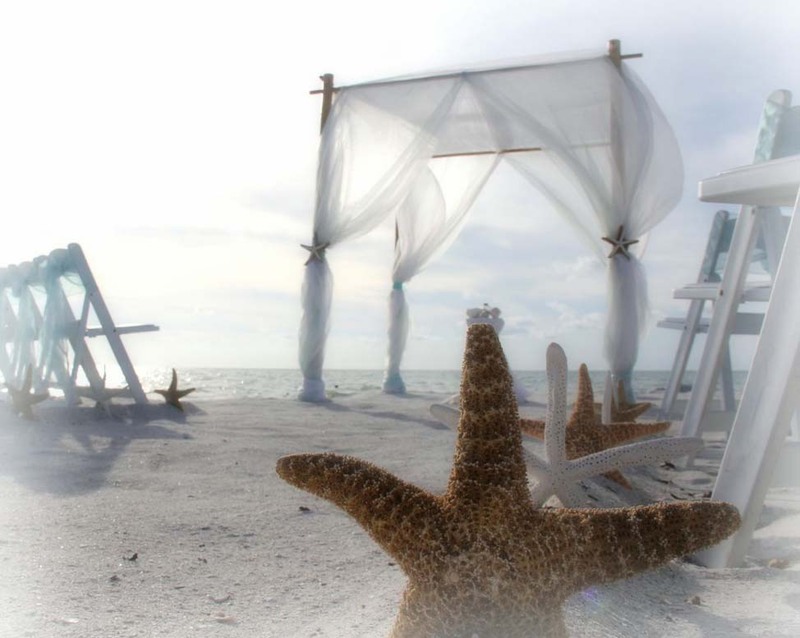 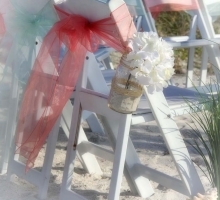 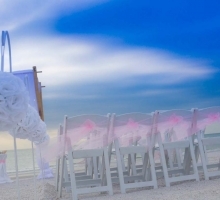 Beach wedding themes can be dramatic, they can be over the top - or they can offer a softer backdrop for your big day. 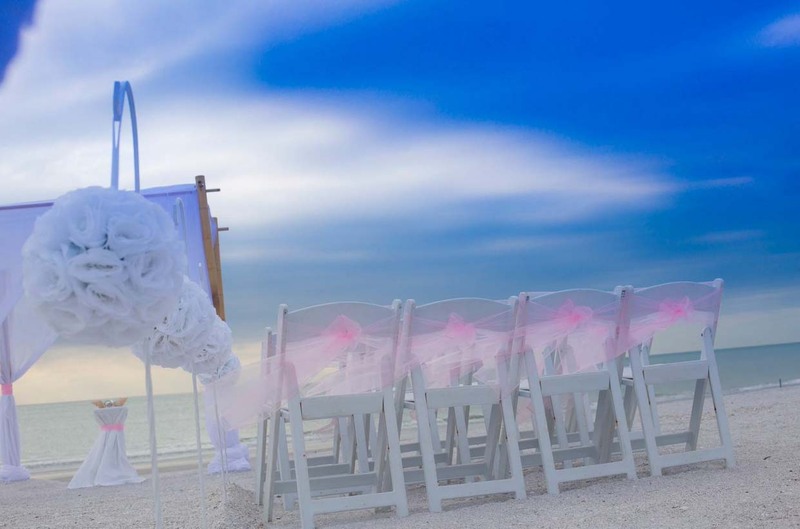 Words of love can be spoken softly - and so it is with these looks - they speak volumes with the suggestion of colorful accents. 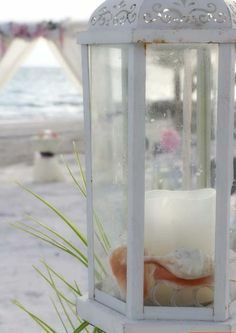 For soft, muted tones and subtle shades of pale, we have a collection of aqua and blush, ivory and soft pastels. Mix and match or choose a color - it's totally your choice. 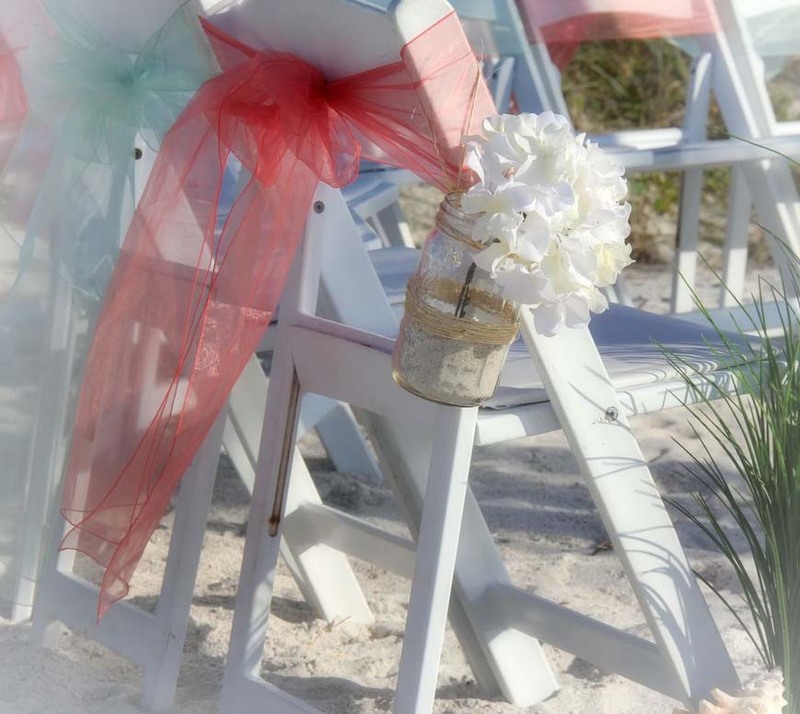 Subtle shades are soft and romantic - a hint of color to evoke a dreamy setting, let the inspiration of the beach guide with champagne sashes to mirror the sand, or contrast with shades of sage or coral. 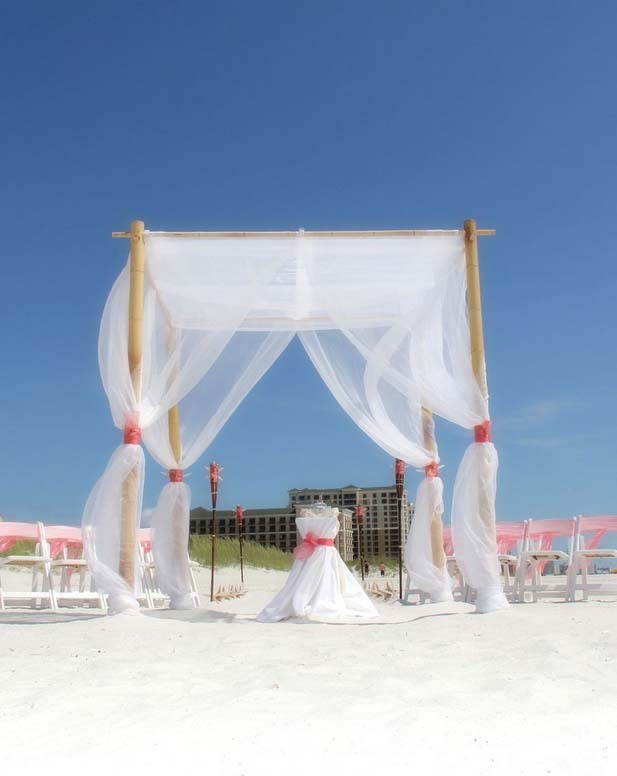 A subtle backdrop allows you to take center stage and shine, and when the setting is as gorgeous as the beautiful beaches in this part of Florida, it's hard to improve on perfection! 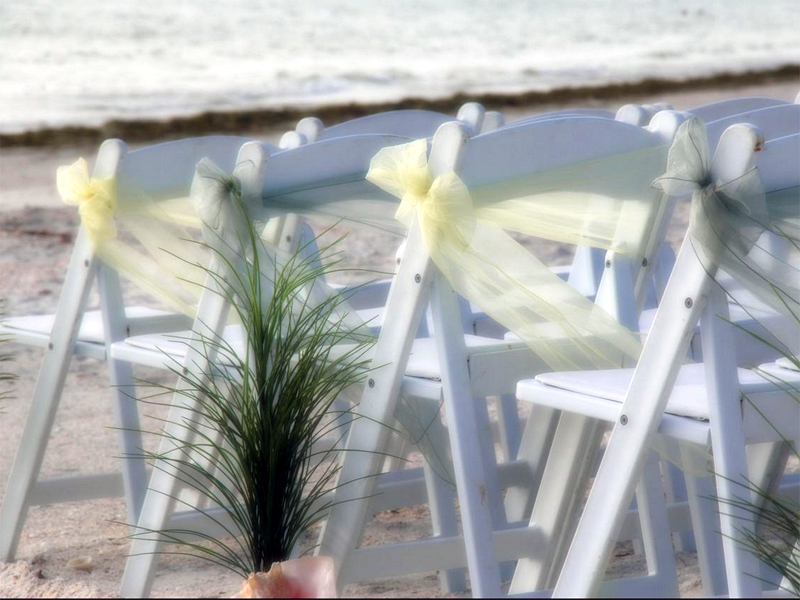 A little color goes a long way as you can see from this gallery, these looks are traditional with a modern twist - sophisticated and sincere. 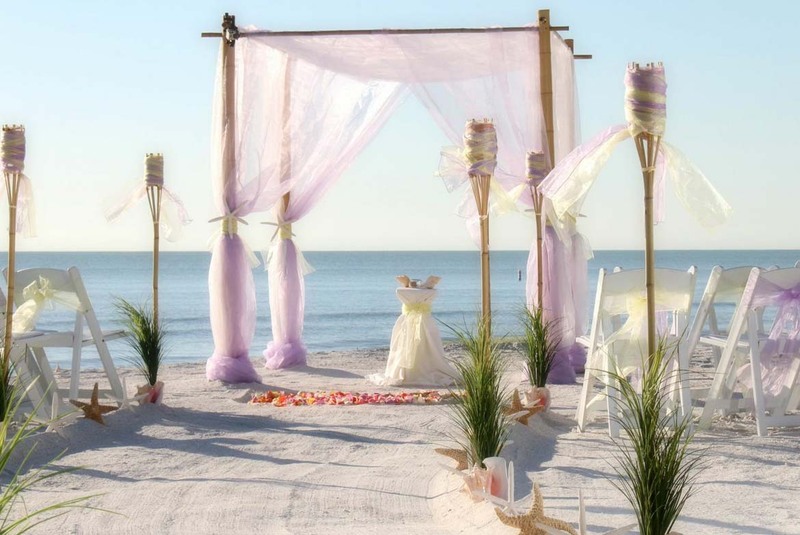 For the ultimate in subtle settings, choose shades of white or ivory with matching pomanders, soft drapes on the arch and a few floral accents - baby's breath is a popular choice for understated glamour and style.